The beauty of Zuni Pueblo in New Mexico is that it is a culturally intact Native American reservation. People live in Zuni as they have for generations. If you want to visit Zuni as part of your New Mexico vacation, it is important to go with reverence and respect for the culture and history, as well as for the beauty of the land. 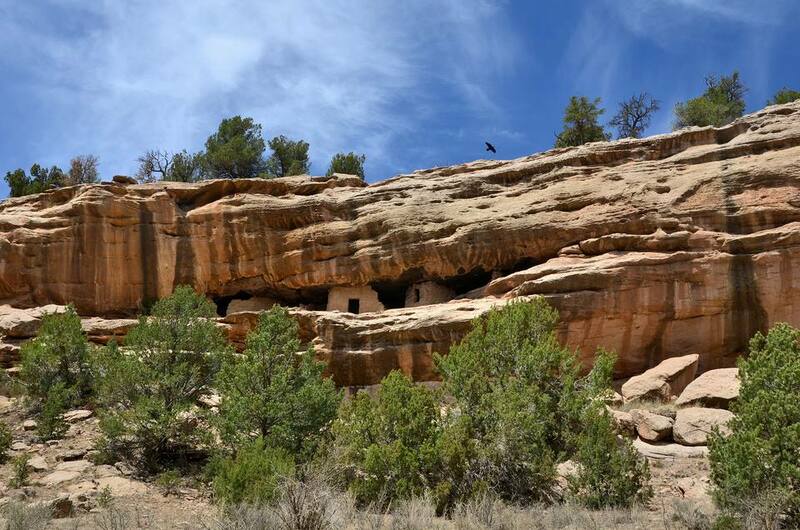 Here's a closer look at planning your visit to Zuni Pueblo. The Zuni Pueblo put out a publication, "Experience Zuni," which is available online or by calling 505-782-7238. It is worth reading before your visit. Zuni Pueblo also has an informative website that explains about Zuni, shares what you will see and gives tips on how to be a respectful visitor. If you are in the Gallup or Albuquerque area, a visit to Zuni Pueblo may not be far for you. You can reach Zuni from I-40 by taking Route 602 south from Gallup, then turning west on Route 53. You can also take the scenic route from I-40 and Route 53 near Grants, passing the El Malpais National Monument (with the interesting volcanic flow) and by El Morro National Monument. El Morro is an imposing sandstone cliff. Spanish and American travelers rested and carved their signatures, dates, and messages for hundreds of years. El Morro National Monument protects more than 2,000 inscriptions and petroglyphs, as well as Ancestral Puebloan ruins. When you get to Zuni, be sure and stop by the visitors center before starting your visit to Zuni Pueblo to get orientation and current information. The staff there can give you photography permits, if needed, and share with you key places to visit. The following tips may help you understand the difference between visiting Zuni and visiting other tourist attractions. Zuni is a community of people with spiritual and cultural traditions that may be different from your own. It is a living community of private homes and cottage industry rather than a "living history museum." In general, photography is forbidden. Ask if and where you can take photos. It is always a good rule to leave your camera at home during religious ceremonies. Religious and cultural ceremonies include processions and dances. They are not shows. It is expected that visitors will remain at a distance and be quiet and respectful. Walk and hike only in designated areas. The visitors center can tell you where those are. Take a guided tour to get you started on your visit to Zuni. Inquire at the visitors center about the tours. Visit the Zuni Mission: The Old Zuni Mission has closed down for tours, due to structural issues. In the past, you could visit the historic mission church and world-famous murals of Zuni ceremonial figures. The murals here are both moving and impressive. Go on a Zuni Artist Studio Tour: Ask at the visitors center about guided tours. You may be able to take a tour and visit the homes and studios of artists, such as potters and jewelry makers. You may even stop at the Zuni Bakery, where bread and pies are made in a traditional earthen oven. Enjoy Zuni arts and crafts: Enjoy the local arts and crafts and consider buying a piece or two to take home. Eighty percent of the families are involved in arts and crafts, such as jewelry-making, pottery and carving animal figures. By doing this work in their homes, they can have an income and live in the beautiful countryside on traditional lands. When you buy from artists on the reservation, you know you are getting authentic Zuni-made items. There is an artist’s cooperative, some artisan stores and in Gallup, some trading posts that trade in authentic Zuni and Navajo goods. Learn the history: A great place to start in Zuni (after the visitors center) is the A:shiwi A:wan Museum and Heritage Center. This museum is primarily for the people of Zuni, especially the children, but if you can find the museum, located in a historic adobe, you will not only learn from the exhibits, you will also be enlightened. The museum is free but asks that you leave a donation. Take a photo tour: Explore Zuni on a photo tour. Remember to make sure it's okay for you to snap pictures first. Zuni has a popular pizza restaurant located right on Highway 53 just as you enter town from Gallup. Chu Chu's is open seven days a week, usually from 11 a.m. to 10 p.m. It is known for its pizza and subs but also serves salad and Mexican-style food. The food is good, the booths are comfy and above all, you have a wonderful view of Dowa Yalanne or Corn Mesa. The restaurant is Zuni-owned and run. One magical part of visiting Zuni is that it is seemingly untouched by time. Important religious ceremonies go on from year to year and families pass down language and tradition. Visit Zuni and learn from the ways of the elders. Immerse yourself in the culture and the beauty of the area, even if just for the day.